Finally Polar are set to launch today. TFK will have info at 12:00 BST at https://the5krunner.com/2018/09/13/polar-vantage-the-wait-is-over/ so please check out that link as I’m sure it’ll be comprehensive. I’d assume dcrainmaker.com will also cover this with a detailed review but as ever Ray doesn’t give hints. No, I’ve publicly written quite a lot of negatives about Garmin. The simple fact is that Suunto have released a watch, got good reviews, then changed the name of that watch and replaced a less well specced one in its place. That is literally what a “bait and switch” scam is. Customers think they are getting the device in the review at a lower price when in fact they are getting a lower spec one which has no reviews. Since you mention DCRainmaker, no I’m not affiliated with him at all other than constantly bothering him with comments on his posts. How do you think he feels though, his review clearly states that there’s a barometer in the “Suunto 9” and there now isn’t. Should he waste time updating the post, or waste time explaining to disappointed readers who bought the wrong device in good faith? Either way he loses valuable time and energy. Sorry, but you are wrong. The Watch was always (and is still) named “Suunto 9” and in the past you did order a “baro black” version (or different color) and no other versions were available. The watch is still the “Suunto 9” except that you can now order also a “black” which has no barometric altimeter. I think Suunto just renamed the products. As you can see the bezel of the models without the barometer is different. The webshops in my country have listed the “Suunto 9” under the new name for some time now. Yes they did. And now the name which people used in reviews in good faith is a lower model than that reviewed. Bait and switch plain and simple. I agree with Lusty, definitely bait and switch. I’ve been keeping an eye on the S9 for some time now. I’ve been waiting to get one as soon as they offered a shiny bezel black unit. To my excitement I got the announcement yesterday and checked their site right away only to find the exact setup I’ve been waiting for. Only problem is this ‘new’ Suunto 9 is without baro. The other ‘new’ Suunto 9 is explicitly called Suunto 9 Baro but it’s not actually new its the same unit that came out in June. WTF? Then again the new S9 with the nice colors is $100 less so that’s fair but why switch the names? Why not call the new non-baro versions Suunto 9G or Suunto 8 or Suunto 7. Exactly the scenario I was talking about. Agree the lower price matches the hardware, but it needs to be explicit that it’s not the one you read a review on. Suunto 7 would have made sense and was what I had expected to see. If only Suunto 9 Baro hadn’t *always* been the name of the other product with a barometric sensor, the one that was reviewed ;). Reviewers skipped it, but on suunto.com that has always been the entire name. That said, I agree that is a bit of a naughty move, but not really a bait an switch – it’s a lower version of the same watch, and therefore 100 euros/dollars cheaper. DCRainmaker went back and checked and had no information containing the Baro moniker. He wasn’t even provided the product sleeve for the box initially. Maybe it wasn’t on purpose, but it certainly did happen and people certainly were confused when the lower model was released with the same name. I’m sure there will be people who thought they were getting a bargain when they saw a new lower price too, and even now there are plenty of reviews confirming that the “Suunto 9” has a baro altimeter. This is all ignoring that it would have been trivial to introduce a Suunto 8 without Baro, or a 7, or whatever. Look at the Spartan range, their naming is ridiculous and customers are never sure which is the watch they wanted. This has certainly been the case all the way back to Ambit days, which I avoided because I couldn’t work out which one to buy. Also, take a look at Ray’s photo at https://media.dcrainmaker.com/images/2018/07/DSC_8682.jpg of the review watch. No mention of baro on the back, just Suunto 9. Link to the review is https://www.dcrainmaker.com/2018/07/suunto-9-multisport-gps-in-depth-review.html hopefully he doesn’t mind the direct image link here. Did I understand correctly that there will be no navigation on polar? Overall I think polar has missed the train. Was hoping for some revolutionary stuff but only got running power. tell us a bit more about the suunto stuff? I did see the 9 Baro a couple of days ago but had a vague recolelction of some calling it that ages ago (like months) and vaguely remembered that it sometimes appeard that way at vairous places on suunt’s site? i’ve had no updates from suunto recently and have been polartastically busy of late. Ray had an update about this – he confirmed on a comment on his post about the Suunto 9. When he reviewed it, it was just the Suunto 9 with no “baro” suffix or options. 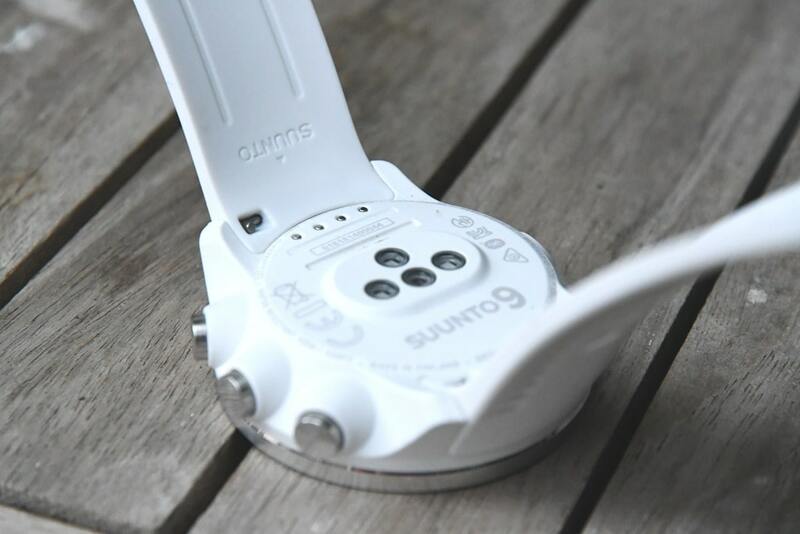 As such, reviews of “Suunto 9” say it’s got features that the “Suunto 9” doesn’t have but the “Suunto 9 Baro” does have. That’s dishonest and misleading, whether intentional or not. Not to mention that it’s just really, REALLY hard to work out which one to buy. To the point that it’s easier to just not buy Suunto. same as Ray for me. it may be c**kup rather than conspiracy. right from the start i saw stuff for the one i have being given both names. at the time i assumed they were the same thing…clearly not. Only feature missing on the Suunto 9 is the barometer and temperature vs the Suunto 9 baro. Weight of each is different, too. All other specs are the same. Not a bait and switch. They list all variants on the same page when going to purchase, and there is a comparison feature. Let’s talk about Garmin not acknowledging that last year’s Fenix 5 (2017) had major hardware issues and they did not recall the watch. Instead, they have released the Fenix 5 plus and people have to pay to get the fixed version. No mention of this on review sites, BUT review sites trashed Suunto for releasing the Spartan Ultra and Sport early with its software issues, which were remedied within a year’s time to the point the watches work very well. Then no mention of this fact and the continuation of recommending Garmin. Spartan Ultra was also decried for its price $699, but now Fenix 5 plus starts at $699 and exceeds it in some variants, and again, crickets when reporting this. The prices have flipped in comparison, Suunto 9 $599, Fenix 5 plus $699. Guess it is okay for Garmin to have higher prices. It seems like review sites have a bias for Garmin and am not sure if those sites get more support from Garmin for favorable reviews. Competition is good, but if your product is subpar don’t use 3rd party reviews to spread misinformation. If you offer the best product it should be self explanatory. I do not think Garmin does based on user forums and personal experience. An example is the Fenix 2, which was highly recommended by many sites. I had numerous issues with it. Inconsistent distance recording by several mile on the same route, multiple times. Syncing problems with my phone. Battery issues in that at 20% battery life the unit shut off in activities, EVERY TIME. So basically, I always had only 80% of the reported battery life, which Garmin does not state! Wish I had purchased the Ambit 2, which was/is considered superior. I currently own the Suunto Spartan Sport and have found it to be an excellent watch. Consistent distance measurements for activities, biking, running and hiking (even under extreme cover). No real issues with phone syncing now. Initially yes, but they have been fixed. Looking forward to purchasing the Suunto 9 or a Suunto 7 (5), if released with smaller form factor and or less battery life. Sorry, at launch the Suunto 9 did have baro and all the reviews listed it as such. Suunto then changed the name and introduced an inferior watch with the old name which had reviews saying it has baro. That’s the textbook definition of bait and switch. Yes Garmin have huge issues but they’ve never changed a name to confuse customers. Can you elaborate where the Suunto 9 Baroless reviews say it has baro? Now if there comes antother Suunto 9 without touch the Suunto 9 touchless then what’s the deal? Find me a review of “Suunto 9” that isn’t misleading. You’re still missing the point and presumably have ignored all of the comments on this subject so I’ll explain again. There wasn’t a Suunto 9 without baro until recently, and the Baro wasn’t labelled as Baro, so ALL reviews of Suunto 9 reviewed a model with baro but didn’t mention that they were reviewing a model called “Suunto 9 Baro” because that name was not used at the time and Suunto didn’t tell anyone a change was coming. Suunto later renamed the watch in the reviews to “Suunto 9 Baro” and started selling a different, less capable watch with the original name. As such, customers now think they are getting a bargain having read the review of a $650 watch then buying a $500 watch thinking it’s the same thing. Bait and switch. Can you elaborate on those customers getting that? I have not seen any complain at the groups I manage. To me this is kinda conspiracy theory, but well , that’s what this blog is about anyways. if you want a healthy income as a blogger then garmin are the only company that sell in volume. and that’s pretty much the only way you can get decent commissions. you can ask other bloggers about that who get those healthy commissions. That necessarily creates a dependent-relatiosnhip from which bias may, or may not, flow. To be clear: I have ZERO relationship with Garmin other than as a customer. I don’t even get press releases from them (I have to go and get them). Also this particular post is just nonsense. What info does it contain other than the above-mentioned rubbish? I stand by what I wrote, and many agreed with me including the5krunner and DCRainmaker that what Suunto did wasn’t really OK. That’s all WAY in the past now though, Suunto have done even more dumb things since including abandoning the working and relatively full featured Movescount in favour of the new Suunto App which lacks almost every feature a sports watch needs. It wasn’t click-bait, it was a descriptive title. What would be the point in click-bait on this site which is purely self funded and not monetised at all? If you want sanetised “news” and “reviews” there are plenty of sites out there for you. If you want rumours, speculation and flat out honesty feel free to pop back here any time 🙂 I’ve had pops at Polar and Garmin recently too if you’d care to look.